Washington, DC (AFP) – The BBC asked the White House to review security arrangements Tuesday after a BBC cameraman was assaulted at a rally in Texas with President Donald Trump. 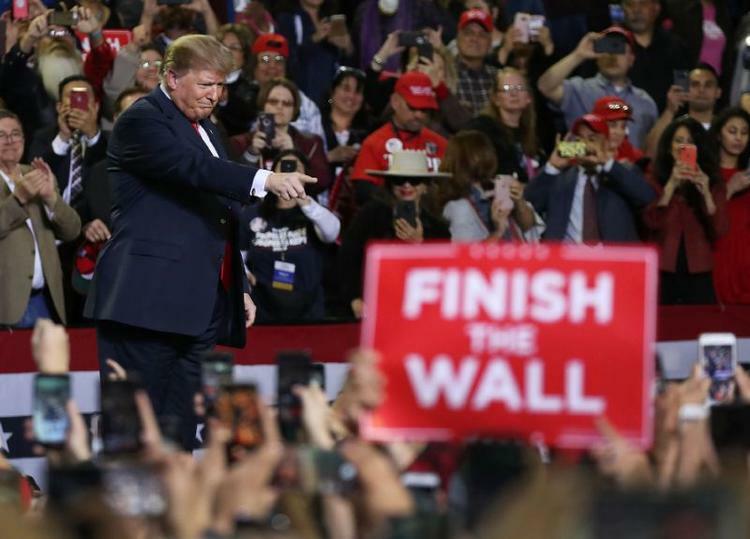 British Broadcasting Corporation cameraman Ron Skeans was attacked by a Trump supporter yelling anti-media slogans during the US president’s rally in El Paso late Monday. As he does at most rallies, Trump had repeatedly encouraged the crowd to boo at the journalists covering the event, accusing them of “fake” coverage. Skeans was unhurt and the assailant, who was wearing a “Make America Great Again” hat, was restrained by a blogger for the pro-Trump outlet Frontline America and removed from the media riser. “There was no swift action to prevent or interrupt the attack by any security agency,” Danahar said. The White House Correspondents’ Association also condemned the attack. New York Times publisher A.G. Sulzberger urged Trump during an interview last month to tone down what he called his “potentially dangerous” rhetoric toward the press.